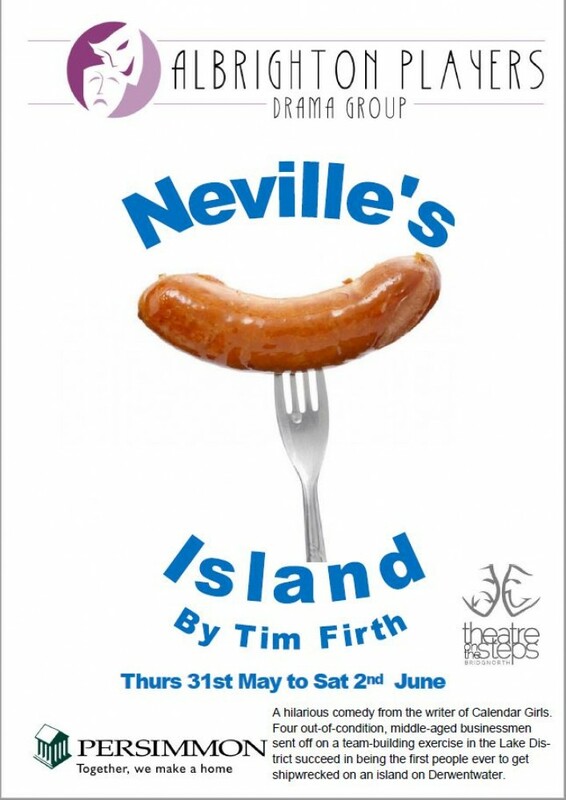 Neville's Island by Tim Firth. This is a hilarious comedy from the writer of Calendar Girls... Four out-of-condition, middle-aged businessmen sent off on a team-building exercise in the Lake District succeed in being the first people ever to get shipwrecked on an island on Derwentwater. Bound in by fog, menaced by the wildlife and cut off from the world, this perfunctory middle-class exercise turns into a carnival of recrimination, French cricket and sausages. What should have been a bonding process for Gordon, Angus, Roy and Neville turns into a muddy, bloody fight for survival.